Stencils for decor with your own hands - make your home unique! 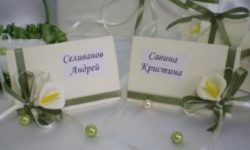 Types of stencils for decoration. Select an image to the stencil. What and how we decorate? 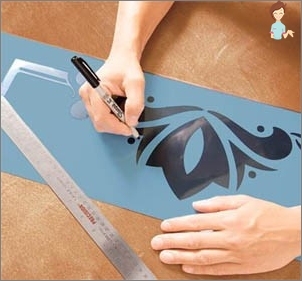 Make stencils for decoration with their own hands. How to apply the stencil on the wall? There are many ways to make your home unique. And for this it is not necessary to invite a designer and professional builders. After all, with the decor using stencils even a child can cope. Decoration of his home in this way is by no meansNew, and for the first time it began to be used by cavemen, when they palmed their palms in paint, left their prints on the walls of the caves. Translated from the Italian stencil means "Perforated", Which accurately conveys the essence of the method - drawing an image through a cliche punched on any media: a film, a wooden or plastic plate, metal, etc. Ornaments for stencils for decor are very different- from letters, to images of plants and animals. They can paint the entire room, and you can select one wall or zone. In this case, you can apply the ornament not only to the walls, but also to the objects of decor - furniture, pillows, floor and ceiling. Another plus is that only your imagination determines how to use this method of decorating the interior. Before you choose a stencil drawing for decorating your walls, it is worth determining how it will be - monochrome, color, or maybe voluminous? Antitravaret - applied behind the contours of the image, creates a backlight effect, especially looks beautiful in the bedroom. Advise which stencil better or worse we do notWe undertake, because to decide the choice, should only the owners of the premises. Everyone has his own taste and someone might not like the butterfly's stencils or the pink color of the walls with the decor, but someone is crazy about it. But, of course, the figure must matchThe general style of the apartment, in which an ornament is created. There are several recommendations that will undoubtedly help in the harmonious painting of the walls and furniture of your apartment or house. Be careful when choosing an image with a largeNumber of parts. One thing is a refined ornament, and another is a rock carvings graffiti, in which your drawing can easily be transformed with excessive zeal to decorate everything. Laconism is never out of fashion. Sometimes the hint of drawing, thin, interrupted lines look more effective than full-weight images. Remember at least oriental paintings in ink. 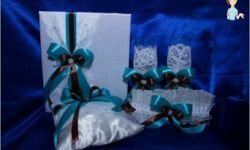 If you want butterflies, letters, andA geometric ornament, and a damask pattern, then determine in advance that it is not necessary to shove in one room incompatible. Remember, one room is one type of ornament. Small parts. If there are many small details in your image, be extremely careful when applying them to the wall. There are two extremes: they are either not applied completely, or are messily merged and look from afar, like a big blotch. Do not be afraid to choose a drawing with a lot of complicated jumpers and lines. After transferring to the walls, it will look more elegant and spectacular than a normal picture. It also depends on you where to placepattern. When choosing a wall or corner that you need to decorate, refer to your sense of beauty. If you are not sure of yourself and doubt, first apply a picture on a piece of wallpaper or paper, and apply it to different places. Very often to the stencil for furniture and walls withDecor of the room, turn to hide the shortcomings of exploitation. So the color pattern well disguises the stained wallpaper near the switch or outlet. Or the scratches on the furniture left by a foolish child or a cat. Also beautifully in the interior design, the patterns painted under the stencil along the edge of the mirrors, the corners of the bedside tables or windows fit in. If you have a child, then when choosing a stencilFor the decor in the children's room, stop at his favorite heroes. Boys, no doubt, will appreciate the painting of the children's room with supermen, locomotives, dinosaurs and jungles. Well, the girls will be crazy about their room, if using butterflies, flowers, images of stars and crowns, you can turn it into a princess's palace. The modern market offers anything. Stencils are also available in abundance, as they say - for every taste and purse. But you can always buy a ready-made template, and you can create something entirely your own. Drawing. If you can not draw it on your own, use the services of the Internet. Search query and thousands of images at your service. Next, print it on the printer. If the selected image is too large, print it in parts. Stencil material. Find the material that you want to work with. It is unlikely that you can cut plastic or wood at home, but tight cardboard or film is quite possible and a beginner master. In the most extreme case, any advertising agency in your city will produce according to your drawing the kind you need. Transferring the image to a template. Attach the image with adhesive tape to the material. If it's transparent, then put it on top and circle, if not, use the copier and translate the image. Cutting process. Cut out the pattern, putting the pattern on a hard surface that is not pathetic or impossible to scratch, better glass. Cut with a blade or a clerical knife. 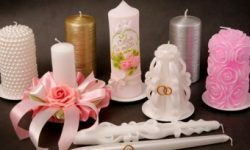 If for a pattern you have chosen a cardboard, then extend the material life, laminated it or pasted it with adhesive tape. Acrylic paint, artistic or construction. The process consists of several stages: cleaning the working surface, marking the walls, attaching the pattern, applying paint. Let's consider each in more detail. Surface preparation. We clean from the dust and dirt wall or piece of furniture, which will decorate. If necessary, we will wait for it to dry out. Marking. Use the building level or meter ruler in order to accurately mark the extreme points of the position of the pattern. The best tool for fixing the temples on the wall -This is an aerosol glue. It leaves no traces, using it you can not be afraid to tear off some of the wallpaper along with the pattern. The glue itself is sprayed onto the stencil, and then the curtain gently presses against the wall. After that, make sure that the template is as tightly pressed against the wall, especially in places of thin lines or jumpers. If your drawing is bulky or heavy, insure the adhesive with adhesive tape. Staining. Use acrylic paint. Whatever tool you use, type on it a minimum amount of paint, so that it does not flow. 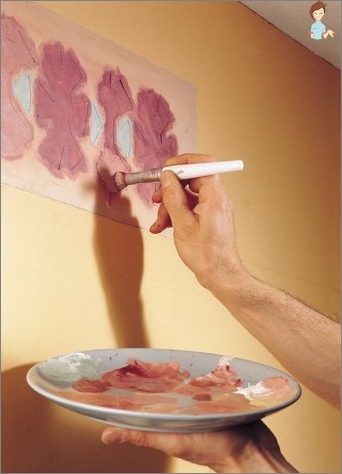 If it is a sponge, then applying a paint on it, blot it additionally on an unneeded sheet of paper. Roller is used only where there are no thinlines, corners and crosspieces, since then it is distributed unevenly. If you apply aerosol paint, adhere to a distance of 30 centimeters, and do not forget to protect the surface of the wall from accidentally spraying paint on it outside the pattern. If you are applying a 3D drawing, then instead ofpaint you will need acrylic putty, and instead of a brush or a sponge - spatula. Apply putty layer by layer, and when the desired volume is reached, the tem- perature is carefully removed before the hardening of the putty. After she froze, you can work with her further. For example, align with a thin sandpaper or crock. 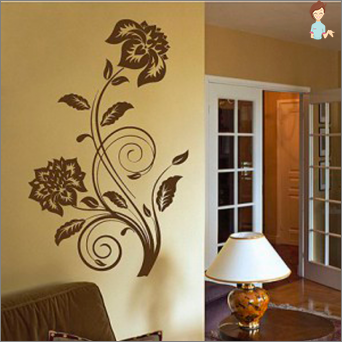 As you can see, the stencil for decoration, and in fact, is an easy way to decorate your home and make it individual. Finally, I want to wish you successful creative discoveries.